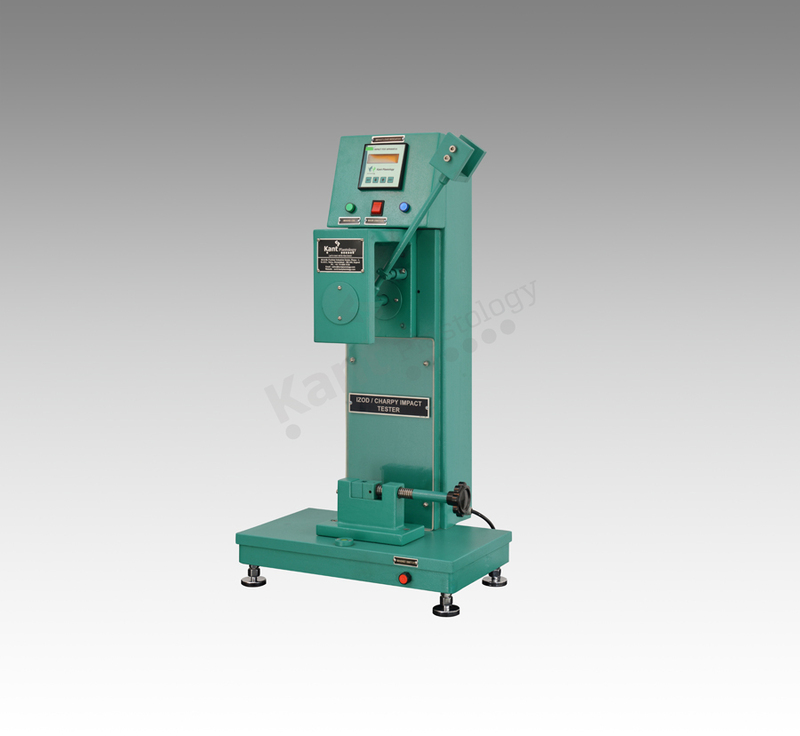 The Kant Plastology’s Izod impact tester has been designed to evaluate the impact toughness of plastic materials. Kant Plastology produces this machine with rigid construction & dimensionally accurate mechanical fixtures. The apparatus consists a pendulum with determined dead-weight at the end of its arm swinging down and striking the specimen while it is held firmly in a vertical position. The impact strength is determined by the loss of energy of the pendulum as determined by precisely measuring the loss of height in the pendulum’s swing.